Repeat between *. Sl St to top of the beginning Ch 2. 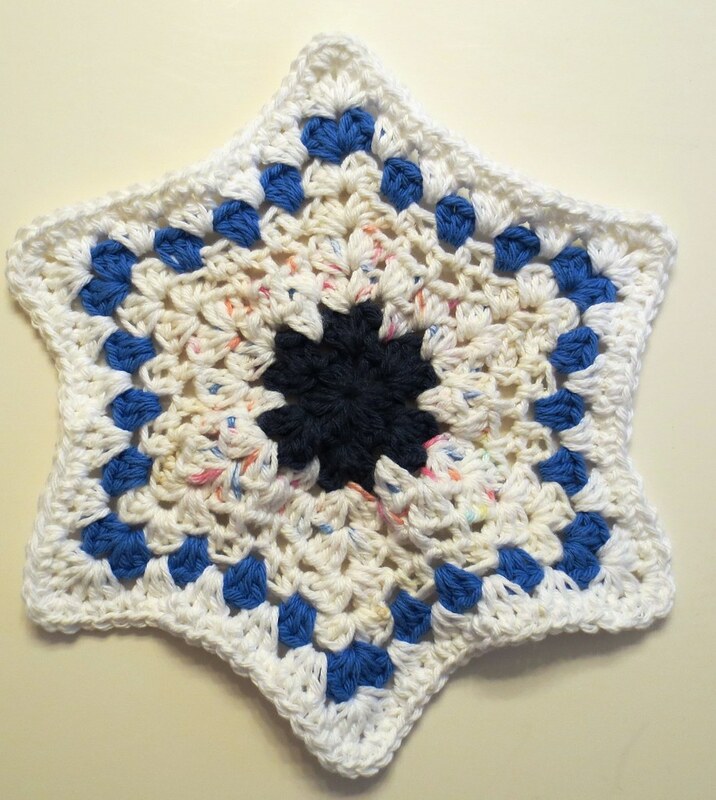 Join yarn in any ch-1 space with new color. Ch 2, 2 Hdc, Ch 1, 3 Hdc, all in the corner space. *Sk 3 Hdc, make 3 Hdc in between shells. In next corner point work 3 Hdc, Ch 1, 3 Hdc all in corner sp. * Repeat between * around and join with a Sl St to top of Ch 2. Don’t worry that the dishcloth is ruffled; it will flatten out as you crochet the additional rounds. Change color as in this blue trimmed dishcloth if desired. *Repeat between * around keeping in pattern and join with a Sl St to top of Ch 2. (There are 4 shells between each corner. 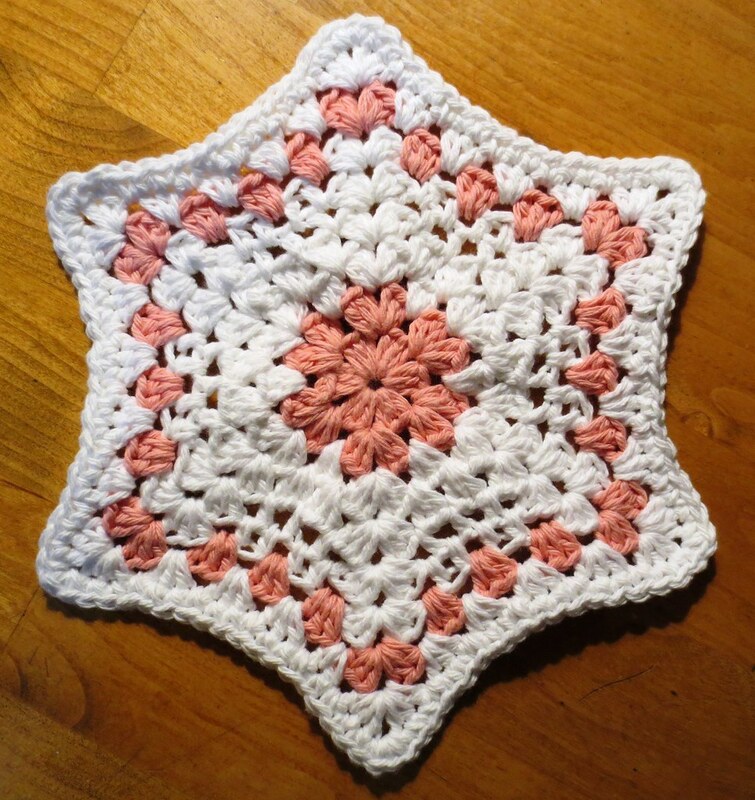 Attach contrasting cotton yarn if desired and in any ch 1 corner space. Work 3 Sc in ea corner space and 1 Sc in ea st around evenly. Join with a slip stitch to beg Sc. 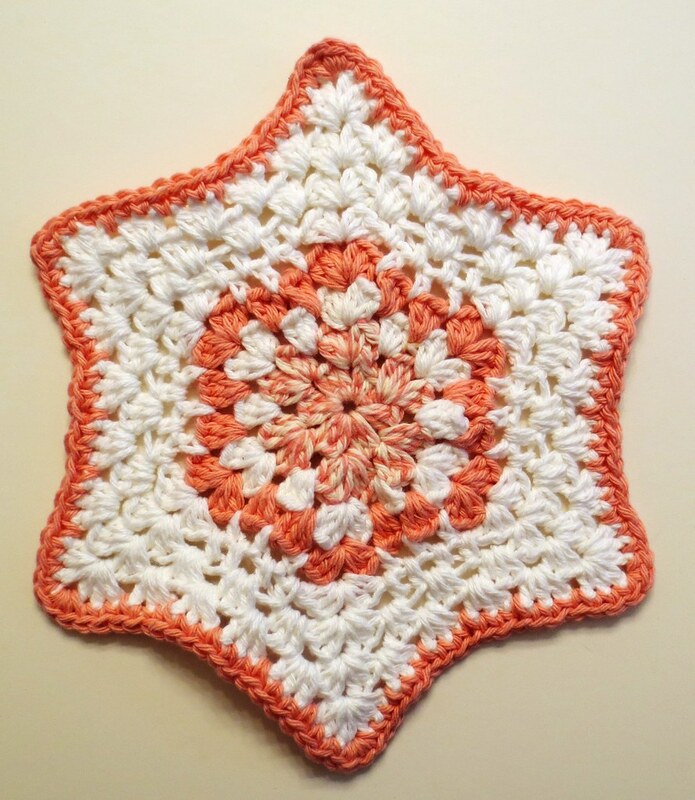 Tip: Skip the center most Sc stitch on each side of the dishcloth to better define the star shape. 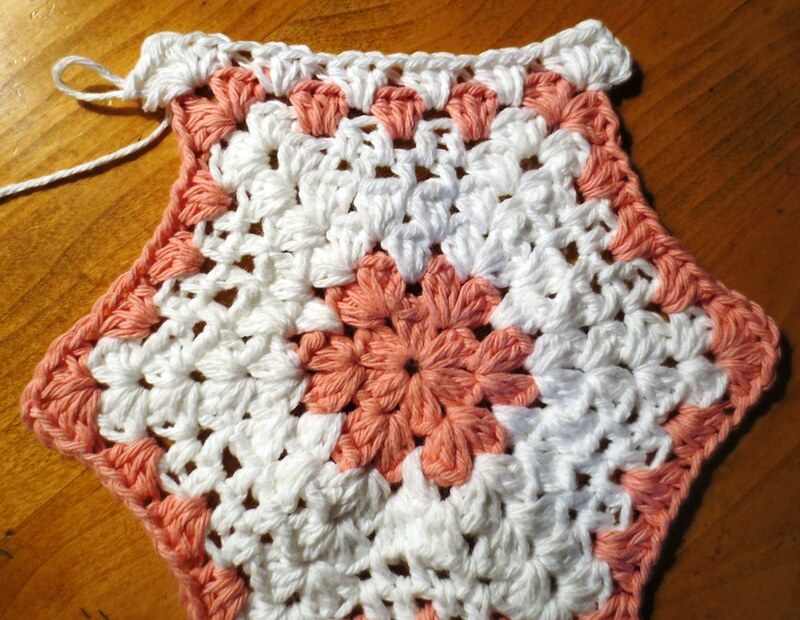 Flatten and form dishcloth by stretching the points out and pressing down at center.